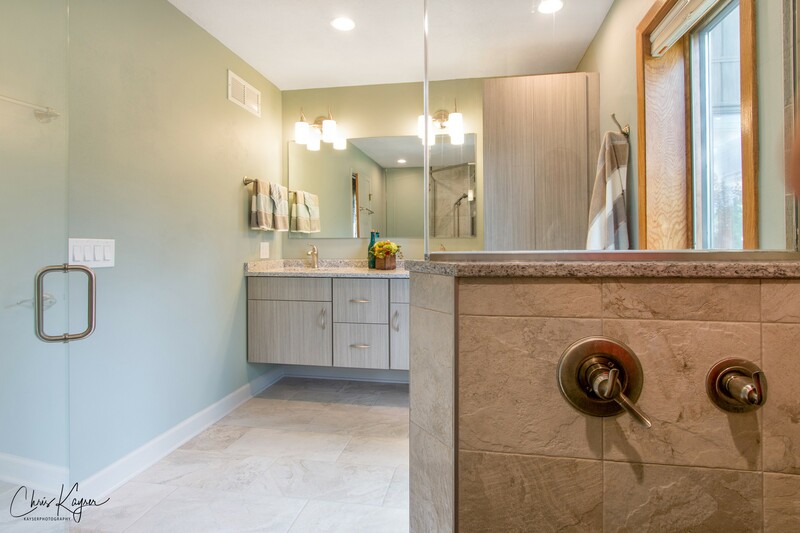 Authorized Siteline designer, Kathy Hanley of @ Home, located in Lake Geneva, Wisconsin shares a recent master bath remodel. 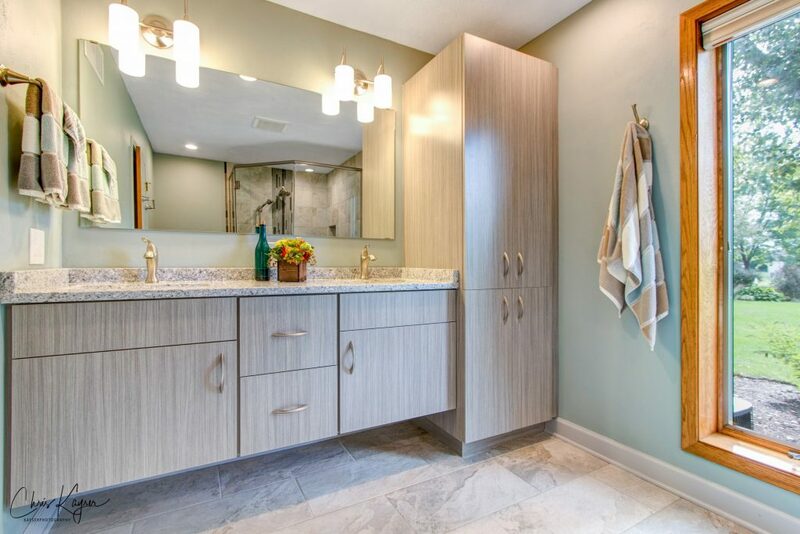 “The homeowners bought this golf course home and loved everything about it except the master bath,” says Kathy. “Though jetted tubs were once the ‘it factor’ for any master bath, water volume, water temperature and maintenance rendered it useless. The maple cabinetry mellowed with a pinkish hue and the small fiberglass shower was worn,” she comments. 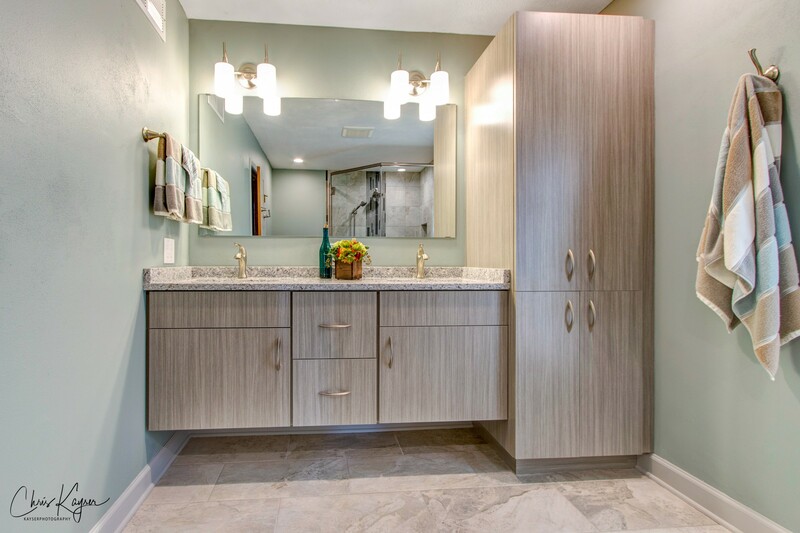 Aging in place design was extremely important to the client, according to Kathy. “The husband had sustained a bicycle fall injury which made this active couple realize that there was a chance in the future that they could find themselves with limited mobility,” says Kathy. 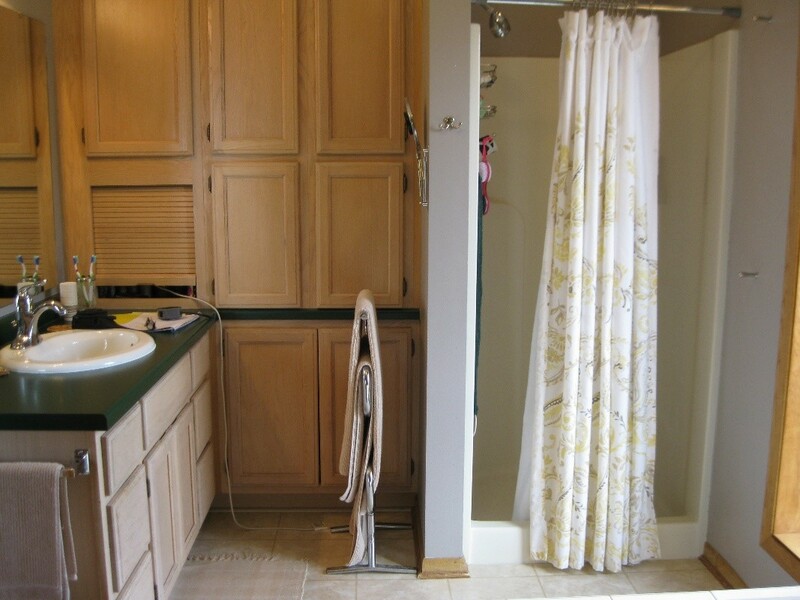 Completing the streamlined design is a large luxurious shower. Other functional options include a zero threshold shower, hand held shower system, grab bars, shower seat, towel warmer and comfort height wall hung toilet. The bath features the Siteline Emerson door style, with Argent, a Textured Thermally Fused Laminate, or TFL. Kathy Hanley, CAPS, AKBD is a designer/salesperson at @ Home. To learn more about @ Home, click here. Photography courtesy of Chris Kayser, KayserPhotography.